The Titan IV is the next step in the evolution of the Titan series micro suppressor. Already the smallest .22 suppressor on the market, AWC has redesigned this tiny performer in a take apart version. 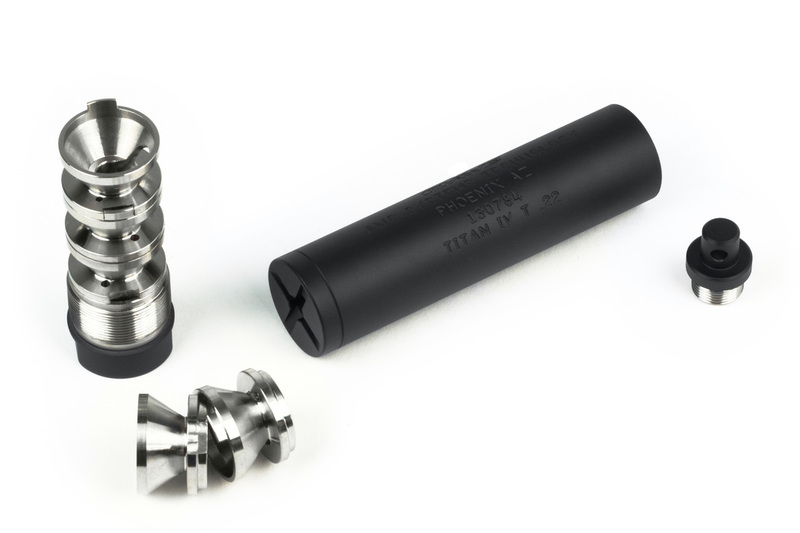 The Titan IV, with its take-apart design, offers the same outstanding suppression performance of the earlier generations along with the added ability for end user maintenance thereby significantly extending the lifespan of the suppressor. Designed for use on small .22LR handguns such as the Beretta 21, it is the smallest and lightest package available. Manufactured in two versions, 100% titanium or 100% aircraft grade aluminum. The Titan series is designed to be used with sub-sonic .22 LR ammunition for best performance but will handle standard and high velocity rounds.